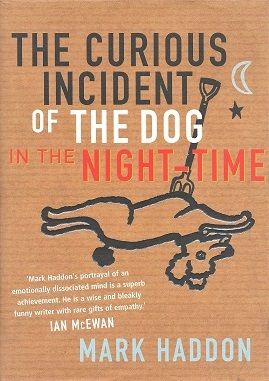 Continuing on the theme of books with dogs on the covers (it wasn't really a theme, things just ended-up this way), our book club's 5th book was around this book that popped into the head of one of our members, but who kept having to Google the thing because the full title just never stuck in her head. "The something something about an elephant in the night... or was it a dog? Bah..." at which point she'd then get out her phone and search for the thing. Just like most-everything else we'd covered so far, I hadn't heard of this book before, so was absolutely useless when it came to assisting with Google searches for the proper title of the book. Once we all wrote the title down, it was then easier to look for it afterwards - it's a pretty unique title after all. This book was 1 of 2 that we picked for our book club that meeting - the other being Cloud Atlas, so now you know one of my future blog posts is going to be about - due to the Christmas / New Year's holiday that was approaching which would put a massive gap between this meeting and the next. The gap was good for me, because I've found that I've become a very slow reader over the last few years. It's not because my reading skills have deteriorated, but rather because I find less time to read than I used to. When I used to live with my family, a 17 minute train ride separated me from my work, giving me plenty of time to get some reading done. Now... I'll be lucky if I find some time to read before I go to sleep. Anyway, this book is about 15-year-old Christopher John Francis Boon and the adventure he undertakes as he investigates who killed his neighbour's dog. The 'twist', as to what makes this story a little bit different, is that Christopher is autistic (although according to Wikipedia, his condition is never actually stated - intentionally by the author), and the furthest Christopher has ever actually gone unsupervised is to the shop at the end of his street. Throughout the story we learn about the shortcomings Christopher has in trying to fit into society, and how he copes with those and other people during his investigation. The book we read is supposed to be the diary written by Christopher himself, and it's a very engaging read into the mindset of someone who has a very different perspective on the world around him. When time came to discuss the book, I told the others straight-out that I found it very hard to sympathize with Christopher. Not simply because of his condition, but because of what his condition does to his ability to understand the world and how other people work. Christopher sees the world in very black-and-white terms. For example, he is very adamant about not lying, and he sees any kind of lie as a bad thing. This includes metaphors because they are not reflective of reality, and so Christopher's writing is very literal. His condition makes it very difficult for him to comprehend all the shades of grey that fall between the truth and a lie. It's his inability to comprehend those greys that makes me frustrated with Christopher because I have my own belief that so many of the solutions to the problems that we face today as a people can be found in the area that falls between the 2 extremes of a situation. For example, so much of what is reported to us in the news nowadays is very polarizing: we have people shouting at each other from 2 sides of many issues. Take an issue like abortion. The way it's reported, it seems like there are only 2 sides: you're either for it or against it, and to hell with anybody in the middle ground. So many people then choose a side to be on, and then spend the remainder of their days shouting at those who have chosen differently. Yet I feel that somewhere between these 2 extremes lies the answers we are looking for. I mean, if we can accommodate the case-by-case circumstances for an abortion, then we can find a solution more worthy of our humanity. It's the same for a plethora of other social issues facing the modern world. Too many people are so caught up with picking a side and sticking to it that they fail to then take the steps necessary to wade into those grey areas and start to get an understanding of the other side of an issue. So when it comes to Christopher, he is completely unable to comprehend other viewpoints or to sympathize with another's actions. 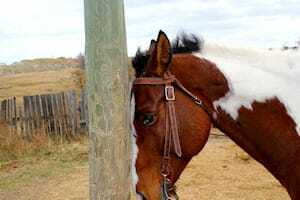 It inadvertently makes him extremely selfish and unable to think through about what the consequences of his actions will mean to the people around him. It's this inability to understand the situations that the others in his life are going through, including his own father who is with him day in and day out, that made me so frustrated with him. Does this make me a terrible person? I thought about that a bit when we talked about this book at book club, and I hope it doesn't. If I'm being honest with myself, I know now that I would do a terrible job of looking after someone like Christopher, so would be doing the whole world a favour if I left his care to others. The irony is that Christopher, of all people, would most likely be the person who would appreciate that honesty the most.